I'm using classic snapping in ArcGIS 10.1. At the scale (1:5,000) that I'm using to snap the edge of one rectangular feature to the edge of another rectangular feature, snapping seems to work fine. But when I zoom into the "shared" line, I begin to see a gap between the features. I thought snapping was supposed to create topologically adjacent lines. 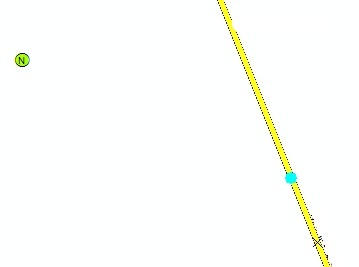 Is this just some kind of drawing problem in ArcMap and not actually a data problem? Anything beyond a 1:1 zoom level (and sometimes anything closer than 1:5, depends on the storage format and tolerance/resolution settings) will show strange draw behavior like this. Zooming in to 1:0.03, while I don't know what units you're using, is probably a bit excessive and no, those gaps probably aren't really there. See http://resources.arcgis.com/en/help/main/10.1/index.html#//01m100000005000000 for information regarding tolerance/resolution. Also, a related question regarding screen resolution/display in ArcGIS: What is the smallest size a point can be represented on ArcMap 10.2? I think this might be related to the lack of a vertex at the spot you're trying to snap to. It may have something to do with the map projection (and hence, the curvature of the Earth), which in turn causes the unexpected occurrence. In my example picture, we tried snapping the point feature to the line edge (where there wasn't a vertex) and got the selection cursor, the vertex cursor, and symbol of the feature all in three different locations. However, if we snap to a vertex on the line, all three show up at the exact same spot. We were zoomed in to where there is less than a millimeter between the point and the line in the screenshot. I guess if this is a limitation of map projections and the curvature of the Earth, and it is causing you problems elsewhere, then to remedy the situation, it would be necessary to only snap to vertices and not edges. If anyone else has other information about this, please feel free to correct me. Not the answer you're looking for? Browse other questions tagged arcgis-desktop arcgis-10.1 editing topology snapping or ask your own question. 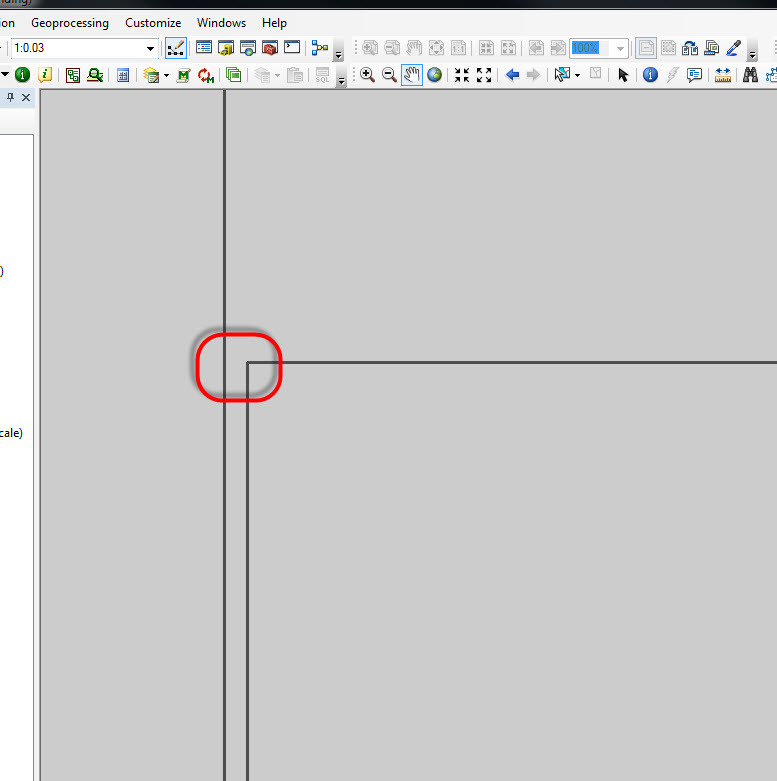 What is the smallest size a point can be represented on ArcMap 10.2? What can I do when snapping doesn't work correctly?